This article explains how to use Night Mode. This option is useful for improving the video image in sites with poor lighting conditions. Select Main menu > Setup > Camera > Night Mode. 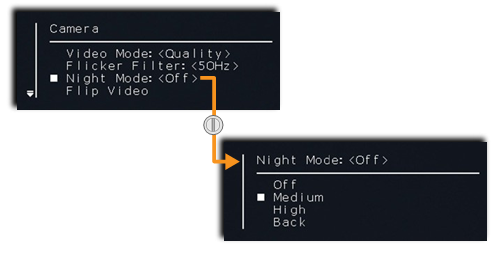 Select the relevant setting (Off, Medium or High).